We are your neighbors, volunteers working to preserve Harford’s quality of life by effectively informing residents and by advocating policies and actions for responsible land use. Friends of Harford has a vision of Harford County as a community where an exceptional quality of life is achieved through respecting the environment and the needs of all citizens, by protecting natural resources, improving neighborhoods and preserving open space and our rural character. We believe that this vision can only be realized if decisions about growth in our community are consistently influenced by a wide spectrum of citizen input and support. NOTE: Friends of Harford (FOH) does not advocate for specific individual zoning issues. Our mission is to preserve Harford’s quality of life by informing residents and advocating policies and actions for responsible land use. This website offers resources which may help prepare for your community advocacy; please feel free to contact Friends of Harford with any questions. Individuals in FOH are free to join or oppose individual issues. 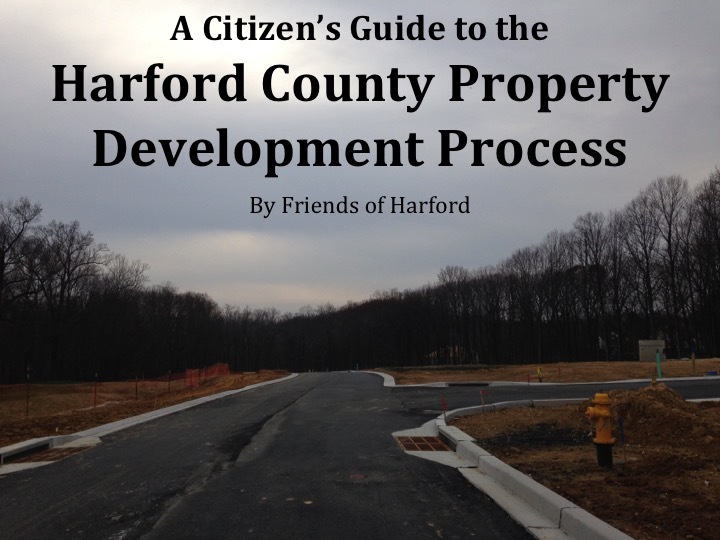 The main focus of FOH is describing Harford County’s land use planning and development process, and explaining when and how you may be able to influence decisions affecting your quality of life. From Darlington to Joppa, and Havre de Grace to Fallston, many of us were involved in community or development issues in the past. A number of us served on the local Community Planning Councils (CPCs) that had been put into place by the Harford County Executive in 1994. And all of us were frustrated by massive residential development, overcrowded schools and highways, and other growth-related issues affecting our families and neighborhoods in Harford County. This group of individuals determined that the citizens of the County needed an organization that would actively work to educate our citizens on growth issues and work with government to create a better future for the county. Friends of Harford, Inc. held its first public meeting in May 1997. A few hundred citizens attended, evidencing the depth of concern about growth issues in Harford County. ​In Memoriam – Robert Bruce, Friends of Harford’s original ​Webmaster. Without his able guidance and perseverance, we would still be using chisels and stone as he was fond of saying. Thanks Bob.